Band on the Wall welcome back sonic explorers The Earlies special guests. It’s now over 10 years since the Lancashire/Texan collective released their highly praised debut album ‘These Were The Earlies’ described by Pitchfork as “a deliriously ambitious record packed with neo-psych lullabies and swooning choruses.”, now they’re back for a summer of live shows, which will include classic Earlies and new material comprised of “an album’s worth of riffs in keys and tempos”. The Earlies combine the composing and arranging talents of Christian Madden and Giles Hatton (Lancashire) with John Mark Lapham and Brandon Carr (Texas), who lay the foundations for a gloriously organic live band spectacle, featuring an additional cast of seven more musicians. Over the years they have built an impressive reputation for their uncompromising set up, on-stage banter and sound which combines layered vocal, experimental sounds, and more traditional instruments to produce a unique pop sound where sonic exploration can still take place. After a hiatus brought about by the transatlantic gulf between its members, the band are back for a handful of live dates and are sure to captivate audiences with their blindly optimistic sound that brings together elements of prog rock, folk, country and psychedelic pop. Band members certainly haven’t been resting on their laurels during the break, with members Nicky and Christian Madden forming TOKOLOSH with Liam Frost and The Whip’s Nathan Sudders, whilst Sara Lowes has become a huge BBC 6 Music favourite, her recently released second Album ‘The Joy of Waiting’ has received excellent reviews from Mojo, Q Magazine and The Independent. 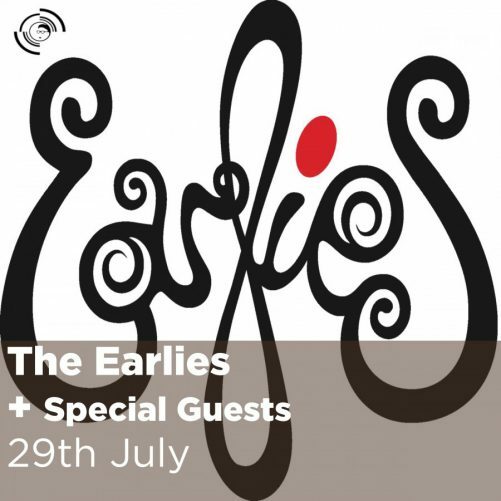 The Earlies last appearance at Band on the Wall saw them perform with Scottish folk pop maverick King Creosote in early 2011. We welcome back the full line up for what promises to be a truly unique show, featuring special guests and new musical creations. The Picturehouse Cafe Bar is open beforehand for delicious food and drinks.